Plasma Cutters are useful tools to have around, especially if you do a lot automotive repair or work on a construction site. They make cutting into metal so much easier than using a mig welder. What’s more, they’re great for fine cuts, so you can always get clean, precise results every time. 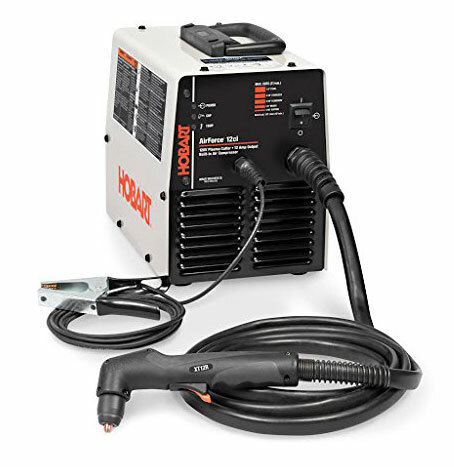 Like welding torches, there are a wide variety of plasma cutters out on the market, but it can be difficult to find the one that suits your needs. If you want to find the best plasma cutter for you, read on for the most helpful plasma cutter reviews. 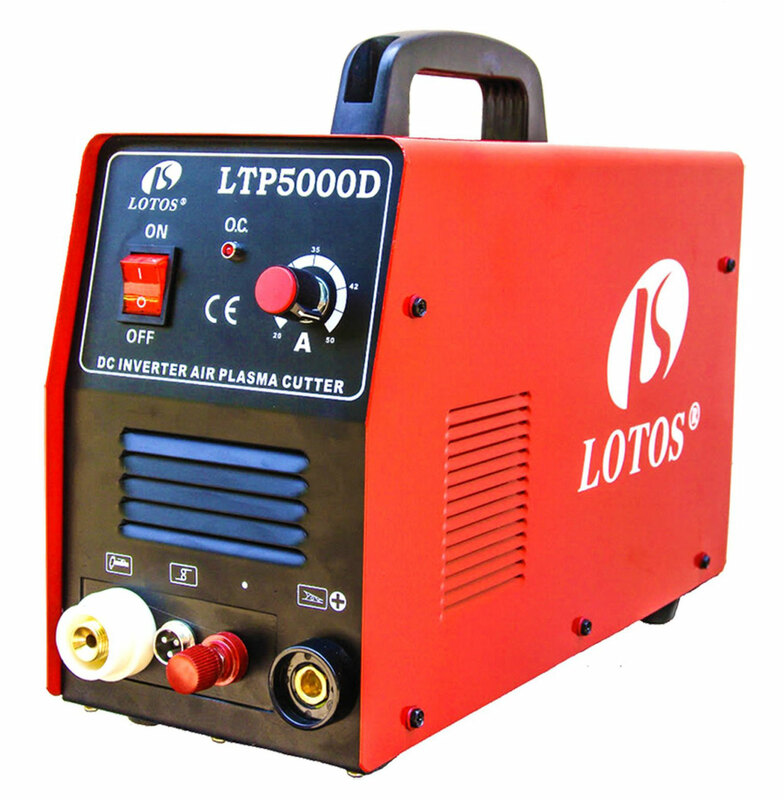 The Lotos LTP5000D 50Amp Plasma cutter is a high quality machine that delivers continuous precision cutting, even on rough or dirty surfaces. Unlike a lot of other cutters, this machine uses inverter technology, making it much more lighter without compromising on power. This also makes the cutter much more portable, allowing you to tote it around from home to work. One thing to be aware of however is that this machine is typically more efficient for small home or DIY projects. It probably won’t provide you the maximum output you’re looking for if you work on construction site. The most remarkable thing about this plasma cutter is that it is 3 in 1. In other words, not only do you get a cutter, but you also a get one tig welder and one mma welder. Even better, switching between these three functions is a breeze. This 50 amp machine is able to cut through thick metal, however it’s so precise that you can even create something as delicate as artwork. 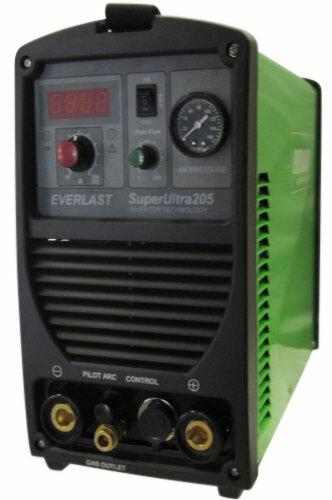 The Super Deal Plasma Cutter can take on half an inch of steel and cut easily into it. It also features a digital readout that’s painless to read, and runs on 220 volts. 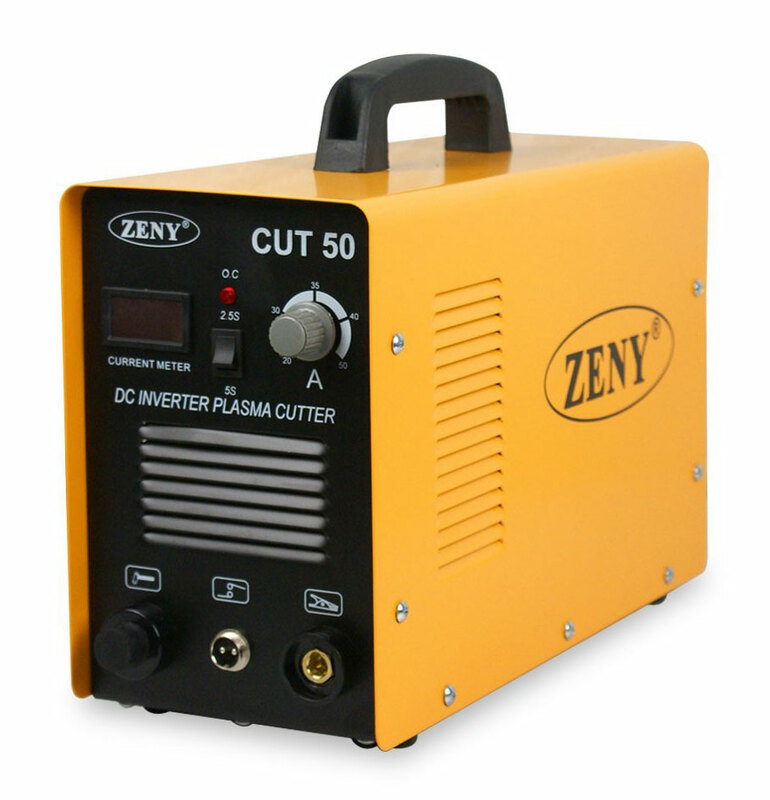 What’s more, this is a fairly cheap plasma cutter compare to similar ones on the market. However, one thing plasma cutter reviews are quick to point out is that you have to purchase your own air hose. Even with that add on, this is still a great product. 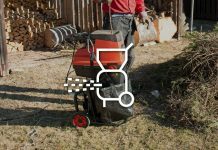 At 40 pounds, the everlast plasma cutter is light weight, making it the perfect portable plasma cutter. The everlast plasma cutter is an entry-level machine ideal for any hobbyists new to the field of welding. The model can also provide incredible stick welding power, something that a lot of other competitors cannot give. 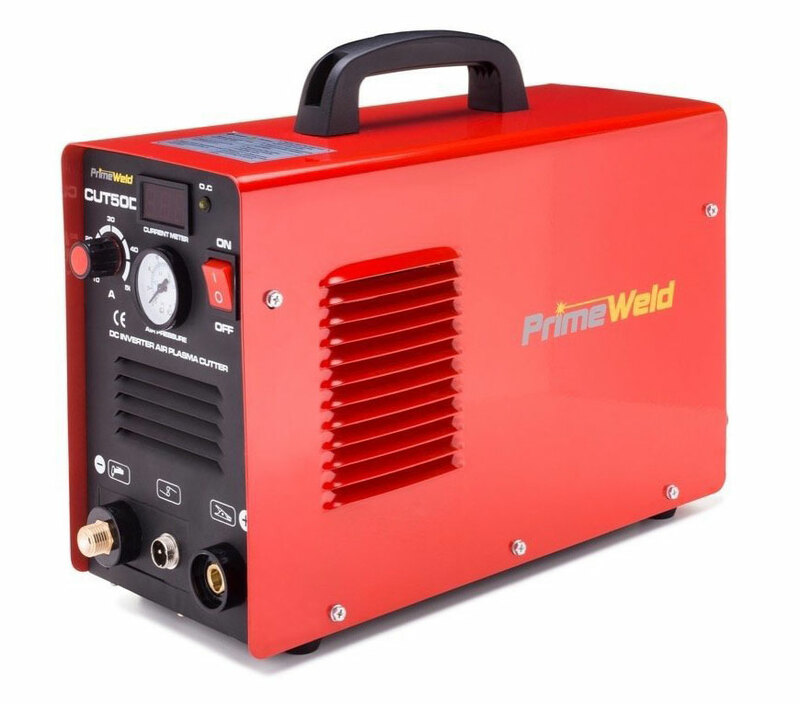 Although a little more on the pricier end of the spectrum, this is a great plasma cutter for starters because it comes with everything you need. This includes plug adapters, a carrying case, gloves, standard and fine-cut consumables, and even goggles. What’s more, it’s also designed with user convenience and comfort in mind. The torch is easy to grip and heat resistant. As a two in one system, the Hypertherm Powermax 30 XP provides you with the intense power needed for cutting thick metal, and also gives you the option take on more detailed jobs thanks to its FineCut tips. This is a cutter designed for precision, but can also deliver the power needed to cut through metal half an inch thick. Economical and extremely portable, you can’t go wrong with this product. It’s dependable, durable, and can help you manipulate a variety of different alloys including stainless steel and copper aluminum. 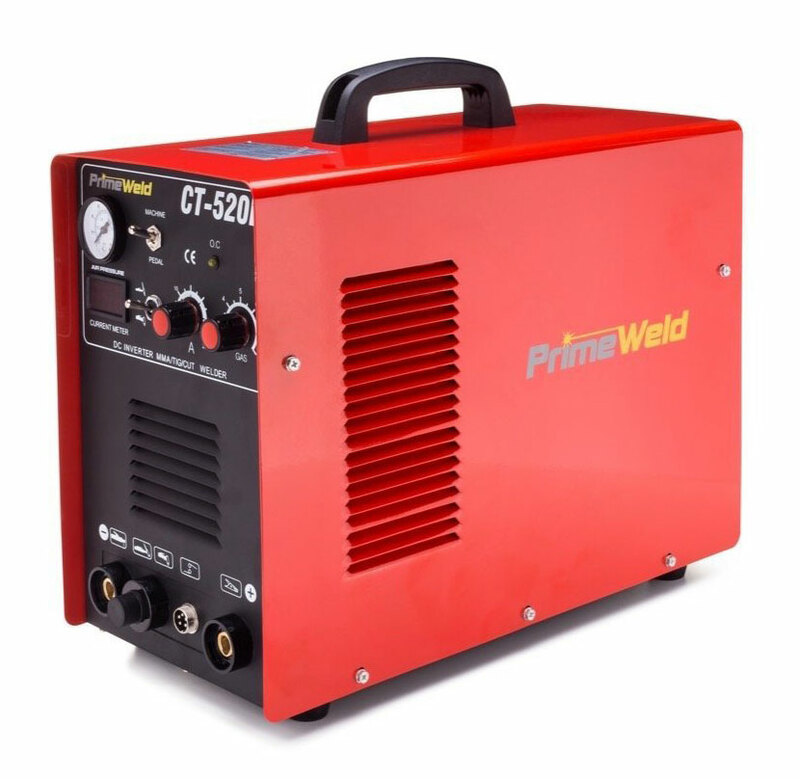 If you’re worried about quality, you can rest assured with the Primeweld 50A premium Air Plasma Cutter since it comes with a three-year warranty. The great thing about the Hobart 500564 is that it comes with a built in air compressor, which is great news if you don’t want to spend money on a separate one. Hobart plasma cutters are known for their effectiveness. Although this is a very simple cutter, it’s extremely effective, with the ability to cut through 1/4 an inch of mild steel. What’s more, it’s also portable thanks to inverter technology. However, keep in mind that this might not be the best plasma cutter for industrial use, as it does take some time to cut through steel. 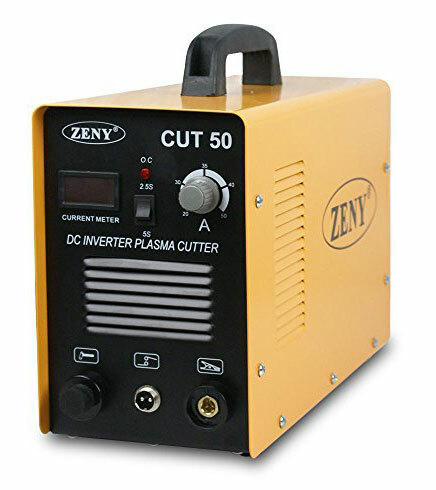 The Zeny DC Inverter Plasma Cutter is a professional grade machine for the fraction of the price. While other plasma cutters cost well over $800-$1000, this cutter is half as expensive and just as effective, if not more. This machine is comfortable to use and can make cutting 1/4 an inch of steel feel like cutting through a breeze. Working with different materials like aluminum might be a little rough initially, but as you get used to working with this cutter you’ll become a pro at getting the results you want every time. 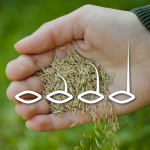 You wouldn’t think that a product that can do three things would be as effective as product that is made to do only one. 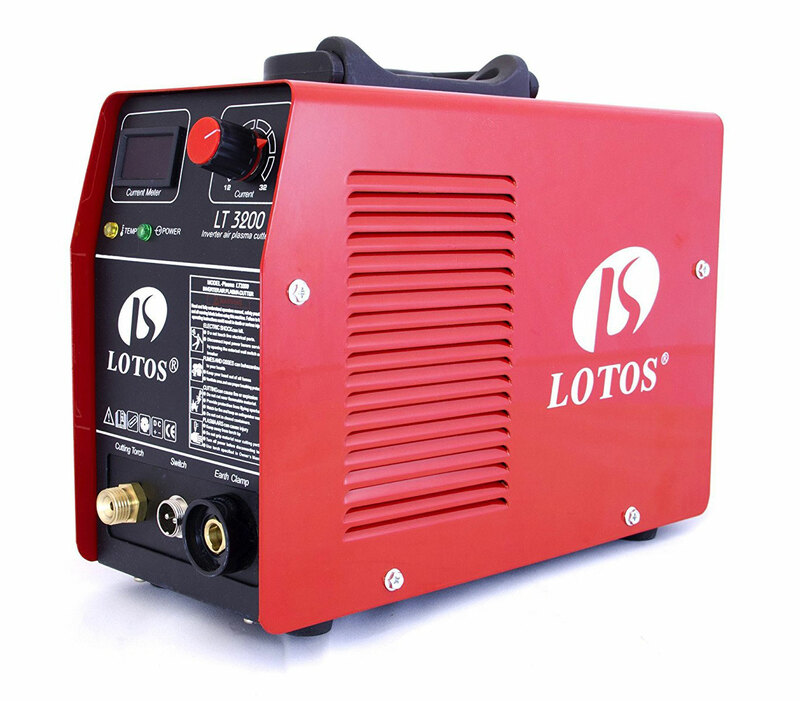 However, this plasma cutter might just change your perspective, since it is the best plasma cutter under 500 dollars. With ability to both cut and weld, this machine is made to cut 1/2 an inch of metal. However, some plasma cutter reviews noted that you can easily cut 3/4 an inch of metal with little to no difficulty. In the most basic terms, a plasma cutter uses plasma, a very hot gas, to transfer energy to a metal surface, which results in a clean cut. 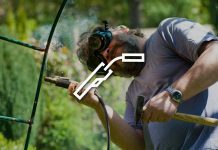 Using an air compressor, gas, such as oxygen or nitrogen (you can use other types of gasses as well or just plan old “shop” air) is force through the torch. Under high pressures, the gas is then ignited through an electrical arc supplied by the machine’s power source. The resulting plasma jet that comes out of the tip, or nozzle, is extremely hot (think 40,000 degrees Fahrenheit) and can easily pierce through metal. Plasma cutters are get tools if you do a lot of metal work. But, if you choose the wrong kind of tool, the resulting frustration and potential damage to your work might make you swear off the welding process completely. Plasma cutter reviews can help you know what considerations to take into account when searching for the right kind of tool. Cutting Speed: If you do a lot of metal work (especially in a professional sense) this makes all the difference because you need something that can cut well and cut fast. That’s why its important to look at how many inches per minute (IPM) a unit can cover. The more work you do, the more you’ll need a product that can take on more inches in less time. 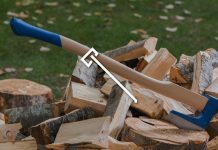 Duty Cycle: Another important thing to look at is how long a cutter needs to rest before you can use it again. If you’re a hobbyist and only use your cutter on the odd days when you have time, this may not matter much. But if you use your cutter for industrial purposes, this is probably one of the most important things to look at. 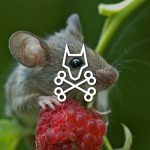 Consumables: No matter if you’re a hobbyist or a professional, you always want to make sure that you kind find easy replacements for your machine. Expensive machines with expensive or difficult to find replacement parts have the potential to turn into a $900 or more junk pile. Steel Thickness: Different models are made to take on a wide range of metal thickness. 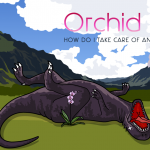 However, depending on your purposes you may need a model that is a little more heavy duty. 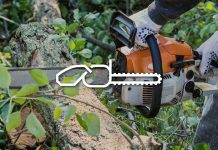 While a smooth clean cut of 1/2 an inch of steel might work for some, you might need to be able to cleanly cut through 3/4 or even a whole inch—but not every machine will be capable of doing that, so it’s important to find one that is. 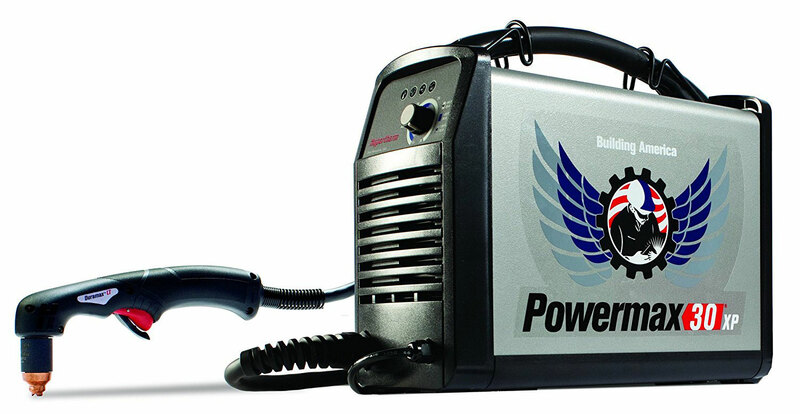 Power Output: You also should consider how much power output your plasma cutter needs in order to operate. 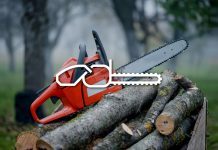 Standard cutters typically run on 40 to 100 Amps, which works for the typical power supply of 220 watts. However, more industrial products can run well over a 100 Amps, so you’ll definitely need to factor in the power supply you have available. Arc cutting works by melting the metal work piece using a copper nozzle that connects the electrode to the metal work. This process is a little different from oxy-fuel methods in that it can be applied to more varied alloys including iron, stainless steel, and aluminum. What’s more, this process usually requires a higher voltage and results in a more rounded edge on the metal due to the melting process. The big different between plasma cutting and welding is that the procedures and outcomes are slightly different. Plasma cutters are designed to cut metal. Additionally, they’re typically characterized as being faster than welding machines. Welding combines two or more metals together using an electrode. While both processes depend on electrodes, the final outcome is completely different. 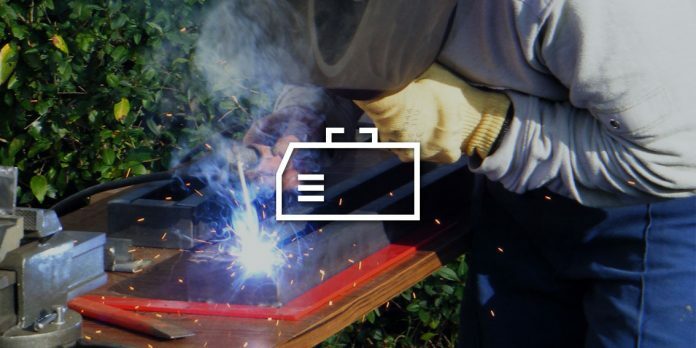 Like welding, plasma cutting can pose some significant dangers to you, your health, or those around you. The high intensity heat is so strong it can singe your skin; direct contact with jet can create permanent and irreversible damage. 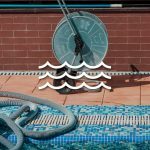 Practice these common safety procedures to ensure that you to keep your limbs in tack and your body functioning in tip-top order. 1. Wear Rubber Gloves: A portable plasma cutter, particularly one that uses an inverter, increases the odds of getting shocked or electrocuted due to the higher power output. Gloves will lower your risk of being fatally shocked. 2. 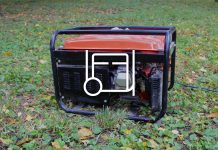 Lay out a rubber mat while working: This will also decrease you risk of electric shock. 3. Maintain Clean Air: Plasma can create a lot of fumes that if inhaled too constantly can be fatal. Work in a secluded environment that has access to window or door. Also, wear a breathing respirator with air to protect your lungs. 4. Wear welding appropriate clothes: Invest in a rubber apron and a pair of steel-toed boots. 5. Protect your eyes: Whenever working with an intensely bright mechanism like a plasma cutter, always wear a welding helmet—preferably one with auto darkening features. If you’re big on metal work (or if you have to do it a lo ), you know that your plasma cutter is practically like one of your best friends. If your system gets damaged it can not only be an big inconvenience, but also a huge expense. 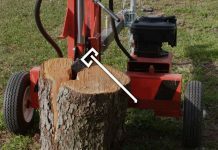 Here are a few tips to keep in mind if you want to prolong the life of your cutter. · Check gas and coolant often: problems with your gas can range from everything from insufficient flow to gas contamination. Any of these problems can lead to a malfunction with your consumable tools. Keep an eye on your gas. 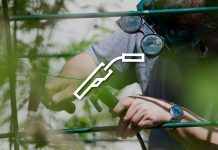 · Regularly clean the torch: Its important that you clean your torch after every use to ensure that nothing gets contaminated. 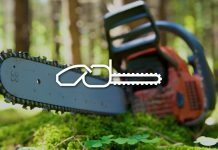 · Replace Consumables routinely: consumable tools need regular replacement. Failure to do so can actually cause severe damage to the torch. If you notice a decline in the performance of your torch its probably a sign that your consumables need replacement. Finding the best plasma cutter is all about patience. 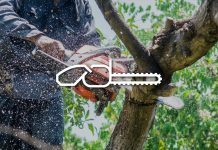 You definitely want to select a cutter that has all the specifics you need to get your work done as finely and precisely as possible. 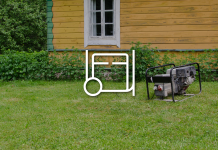 But most importantly, you want to find a cheap plasma cutter that fits your budget and makes you feel comfortable. The last thing you want is to purchase a product that you can’t acclimate to or that’s so difficult to use it proves to be a danger to yourself or others. 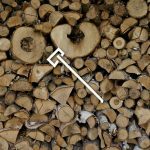 When it comes to using a plasma cutter the key is always safety. So find a cutter that works well with you and allows you to craft beautiful metal pieces, whether that be in construction, automobiles, or art. 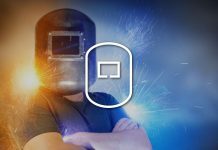 Previous articleWhat is the Best Welding Helmet?